0 to upgrade, 4 to newly install, 0 to remove and 0 not to upgrade. Need to get 37.1 kB of archives. After this operation, 633 kB of additional disk space will be used. Selecting previously unselected package gir1.2-nautilus-3.0:amd64. Selecting previously unselected package python-nautilus. Selecting previously unselected package nautilus-admin. 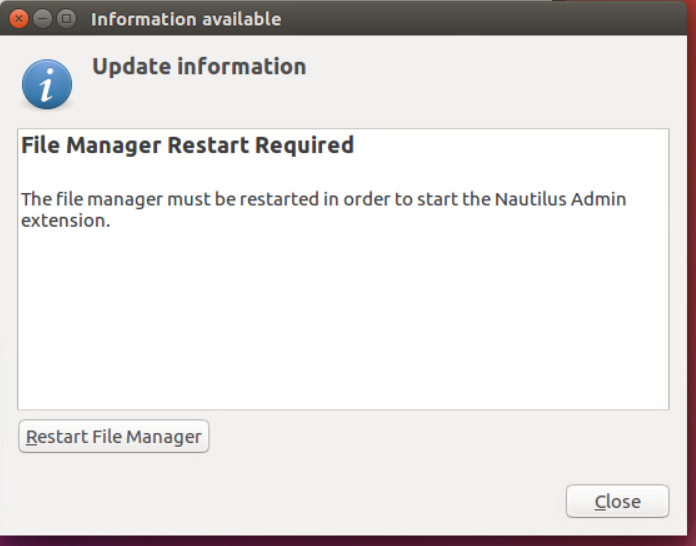 Nautilus, if running, must be restarted for this extension to work (execute "nautilus -q").